This post is a sponsored post but the content and opinions expressed here are my own. 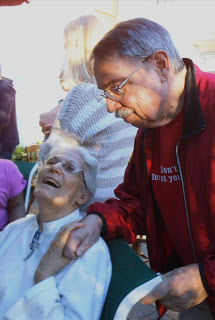 My Journey as a Caregiver began six years ago and it has been tough at times. Six years ago my husband's parents moved to be closer to the grandchildren but I think it was more than that. My mother-in-law had been diagnosed with Alzheimer's several years before and my father-in-law did a great job of hiding how bad it was. I guess he did not want any of us kids to worry or he just was so busy caring for his wife that he did not realize that he needed help. I think his decision to move to Albuquerque was a tough one but I also think it was a cry out for help. My father-in-law had done a great job of making us think that everything was all right with mom but once they arrived we saw things differently. 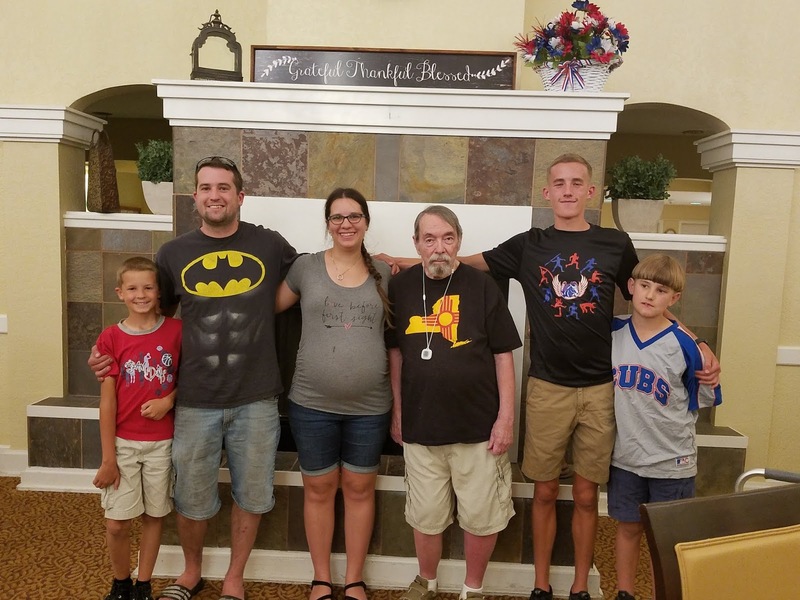 We had last seen mom a year ago at Christmas and her disease had progressed more than we knew and it was taking a toll on my husband's dad. The one thing that my husband and I noticed right away as we help them settle into their new place was neither of them was taking care of their personal grooming. Mom no longer wanted to bathe and we think she was afraid of the water, scary what Alzheimer's can do. We also think that dad had not brushed her teeth in quite some time. My husband said that his dad never did any of the child caretaking tasks so his dad did not know how to be a caregiver. I think taking care of his wife was an overwhelming responsibility for him. Dad's personal care also was not happening as he no longer had a wife to remind him and he looked tired. My husband and I noticed right away that both mom and dad were having incontinence issues that needed to be addressed. 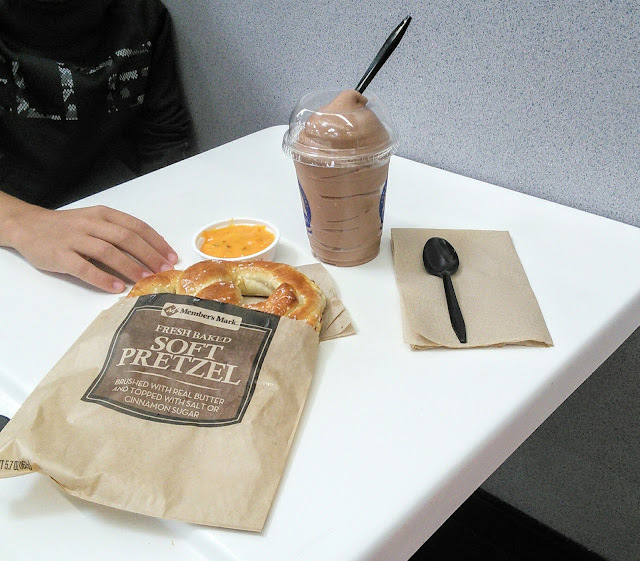 It was then that I had to put my embarrassment aside as we went out for dinner with mom and dad. It was about loving them and not caring about what others thought. My husband had the first tough job of telling his dad about them needing to wear disposable incontinence products. I had the job of buying the disposable products and I had no clue. 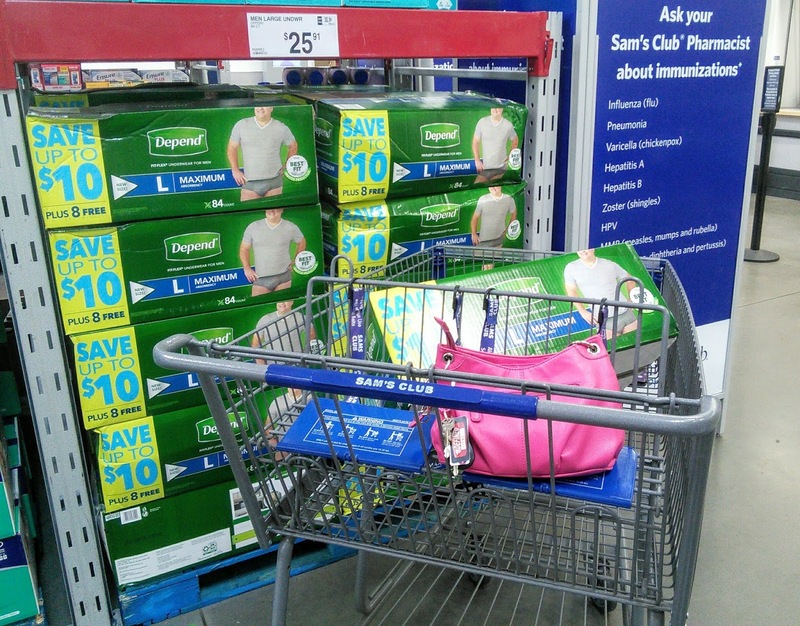 I quickly learned about the embarrassment that came with buying disposable incontinence products. I realized that I had to not be embarrassed, as I knew dad needed this help. How do you help someone with bladder leakage? It was not easy for dad to realize that he had incontinence problems. He did make sure that mom wore the disposable ladies briefs as she no longer could control her bladder. 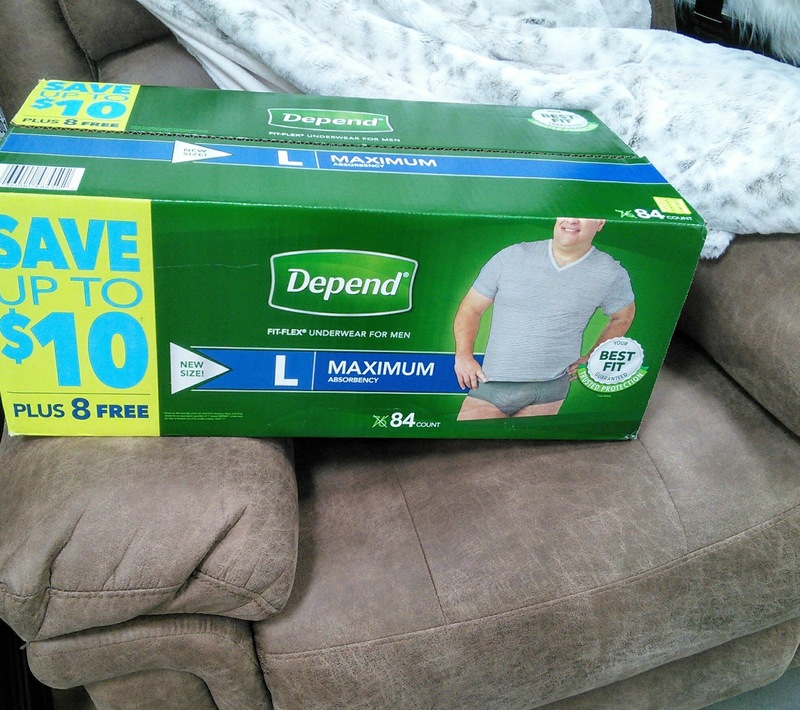 So I purchased some Depend men's guards and left them at his apartment. Once dad realized that the disposable guards were not visible, he started wearing them. Mom's disease progressed even more and I became a part-time caregiver to mom. I babysat her so my husband could take dad to an Alzheimer's support group for a much-needed break. I took mom for long walks to the grocery store, a place that made her so happy as she loved meeting new people. Mom did not know who I was but was happy to see me. Mom's care became more than dad could handle so he placed her in a nursing home. It was tough seeing her fade from the Alzheimer’s and not remember simple things like how old her grandchildren were. My son who was 5 at the time had to tell grandma his age every time we visited her. Mom died nine months from the time they moved to Albuquerque from an infection in her mouth. Dad went on with life without the one he loved. He took up dancing and was a hit with the ladies at the senior center. I think every week he had a new girlfriend. Dad still had problems taking care of his personal care and needed reminders to bathe and wear leakage control products. Four years after mom died, dad was diagnosed with Parkinson's disease and his health started to decline. He was falling out of bed on a weekly basis and then took a fall when he was outside that landed him in the hospital. We then realized that dad needed full-time care. He also needed incontinence briefs as he was wetting the bed. His mind was declining and he needed help with daily tasks. He needed a walker to get around. Shopping online was a task that he could no longer handle. It was hard when my husband had to take away his dad's car keys. That meant I had to drive my father-in-law to doctor appointments and trips to the store. I made sure that I had plenty of time when I took him places as I had to be patient with his slow walking. Since dad lived 45 minutes away, I could not visit him as often as needed and his care was more than I could handle. So my husband helped his dad with the tough decision of moving into an assistant living facility. Dad still needs our help with many things from doctor appointments to stock up on incontinence supplies. Sure the place that he lives at will provide the disposable products but the prices are not affordable. Dad also needs to know that we care so we visit often to visit to take him out for dinner and help with the never-ending computer problems. Since my husband has a full-time job, I handle the doctor visits and shopping. 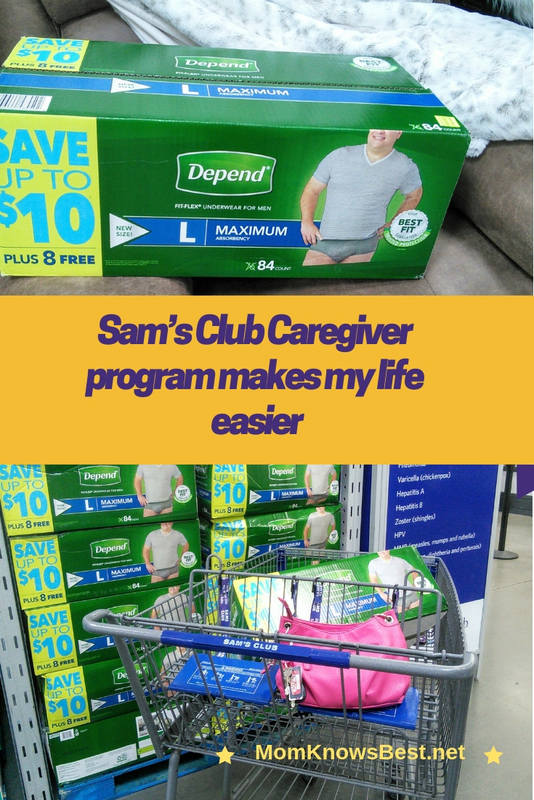 Sam's Club Caregiver program makes it easy to get all the products dad needs. I love that I can buy in bulk quantity so dad does not run out of his disposable briefs. I make sure to stock-up and I am glad that Sam's Club sells products for caregivers in quantities that we need at prices that are affordable. I can always find products like Depend, Poise, Ensure and Glucerna at my local Sam's Club. The products are all located in the same area of the store so I can find what I am looking for without having to wander around the store. If I do need help, the pharmacist at Sam's Club is always ready to answer any questions that I have. I am glad that Sam's Club is right down the street from dad's new place so I grab what I need before I visit him although dad likes it when I take him shopping as he loves the ice cream cone when we are done shopping. This is a sponsored post by Sam’s Club but the content and opinions expressed here are my own. This program sounds like it offers a good level of support. I cannot imagine having to go through this, so it is nice to know there are people out there to help. You are a loving child, this is something that scares me about the aging process when i think about my parents. It can be tough being a caregiver. My Nana Jo is 97 and lives nearby. My Mom does a lot for her. I just love Sam's Club. I'll have to let my mom know about the program. This is such a beautiful post. I brought tears to my eyes. You and your husband are being so wonderful to your parents... they are lucky to have you. 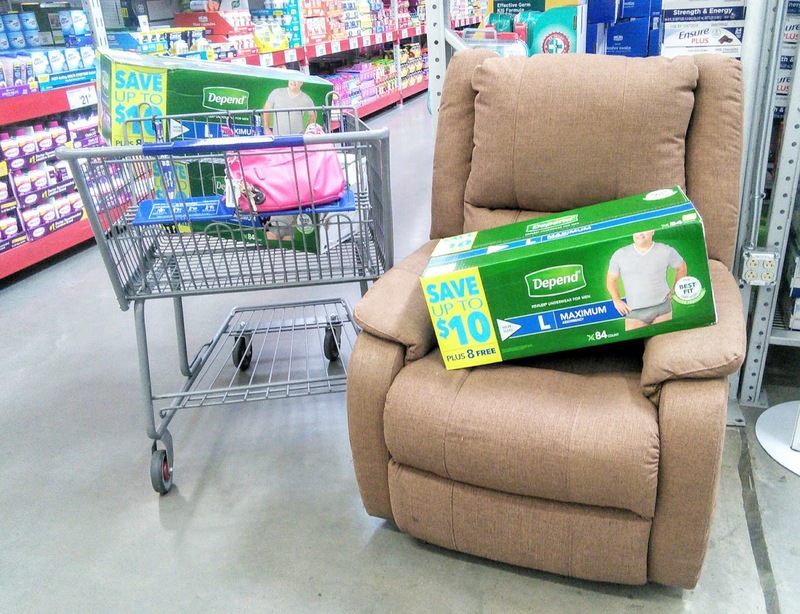 With aging parents, we will all one day be having those difficult conversations and I can only imagine what you felt, going through the store with a box of adult incontinence products. Kuddos to you! I can't imagine what it is like to have to look after an elder who you so love and see them get older. I would definitely find it such a hard thing to do. This is a beautiful post and you obviously adore those around you. Caring for love ones is never an easy tasks. It is draining in all aspects. But it brought me so much peace knowing my mother was well taken care of before she passed (9 year ago). You are such a good person to provide the care and love to your family. They are thankful to have you. Wow! I’m so glad sams offers this program being a caregiver can become pricey but we do for the ones we love, you’re doing one heck of a job! My thoughts are with you and your family as you continue to provide extra care to your Dad. It is so hard to have the incontinence conversation! We had to have it with my husband's Mom a few years ago too. 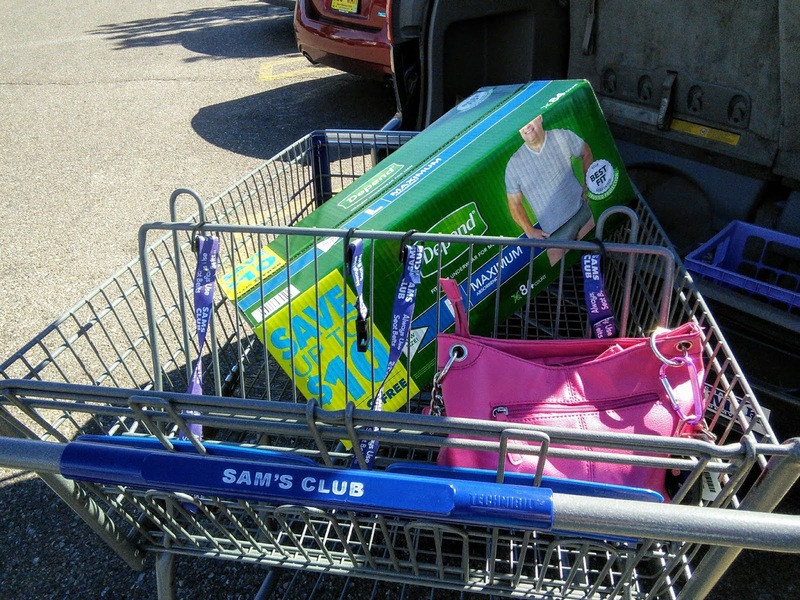 Sam's Club is offering us a great service by making these products affordable and always in stock. I remember my grandmother suffering from Alzheimer's. It was so difficult to visit and have her not know who we were. It sounds like you did a wonderful job caring for you your in laws. That is such a difficult job, but so important! You all are amazing for taking care of your family. It's hard work. I'm glad you found something to make things a little easier. Alzheimer's is such a bad disease and its effects are so debilitating. So glad to see how you have been handling the issue with sensitivity. This brought tears to my eyes. Taking care of elderly people you love is a tough job. I watched my grandparents take care of my great grandparents. Soon the time is coming where I will have to help my mom and aunts care for my grandparents. Your journey in taking care of your husband's parenta is a beautiful one. The program through Sam's club sounds amazing. We will look into that when it comes time to take care of my grandparents. Thank you so much for sharing your experience. Taking care of the elderly is a tough job and requires so much courage. All my respect goes to you! That sure is a difficult ordeal.. but I guess everything's plausible with the right mindset and push! It's good that this program was able to make things easier and lighter for you at your end. Wishing you all the best! It can be so hard as a caregiver but with a kind and loving heart as yours, it's almost easier. I wish you all the blessings! What a tough subject to talk about. You have done an amazing job of explaining and this is a great set of information for anyone having this in their life at the moment. What an amazing post.